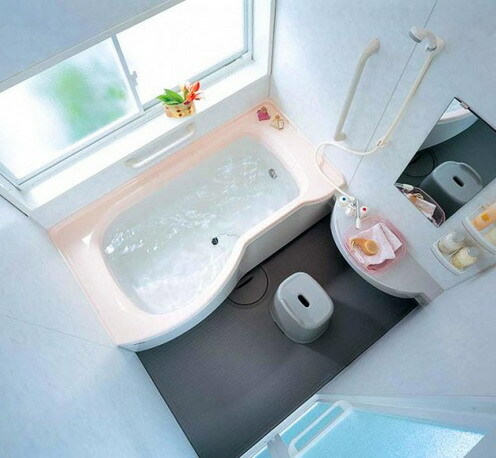 If a bathroom is being used by several people, storage is the key to managing clutter. This hardworking storage unit makes the most of every last bit of space, whilst the open shelves ensure everything is close to hand. 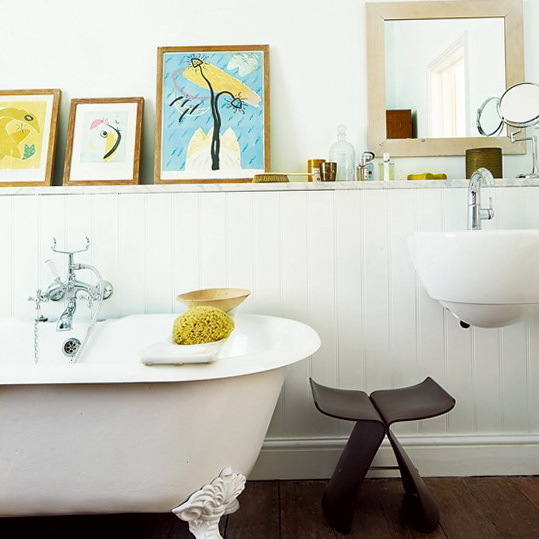 Double basins are a great way of making a family bathroom space work harder. With two children brushing their teeth at the same time you’ll have them ready for school and out of the door in half the time. 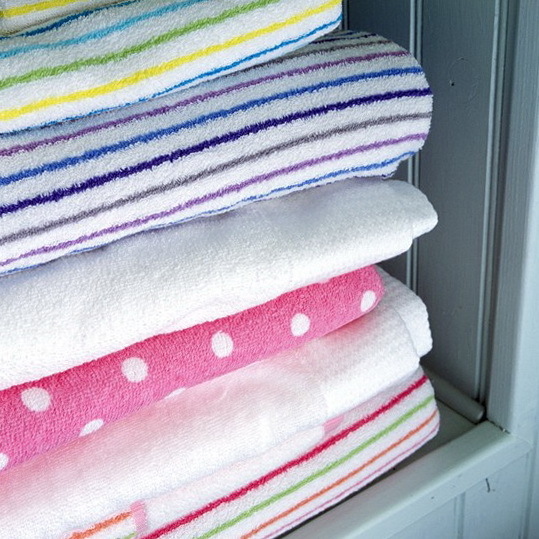 Choose a selection of brightly coloured towels in contrasting patterns and assign a different one to each family member. 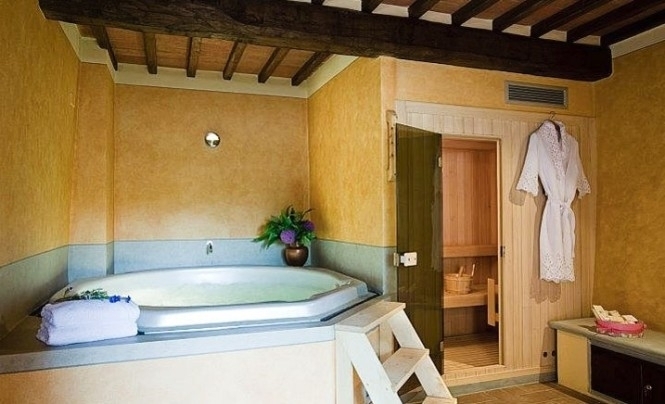 This way everyone will know which is theirs and you can instantly identify who has left their wet towel on the bathroom floor. 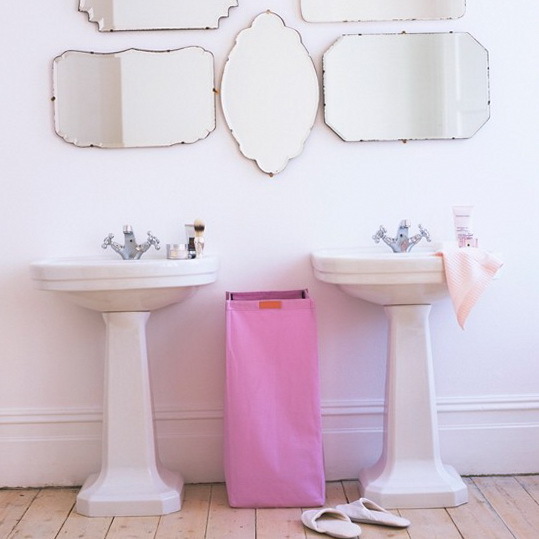 Keep your bathroom floor clutter free by hanging laundry bags from a towel rail. Assigning a small laundry bag to each family member is a good way of keeping everything in order if you don’t have the floor space for a large basket. 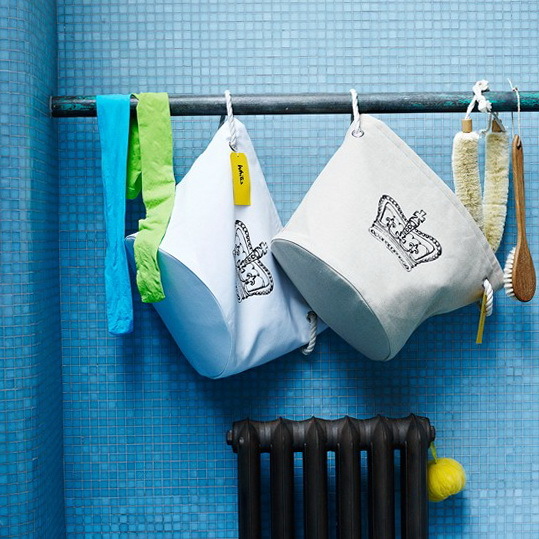 Make bath time more fun for little ones by getting a waterproof radio for the bathroom. 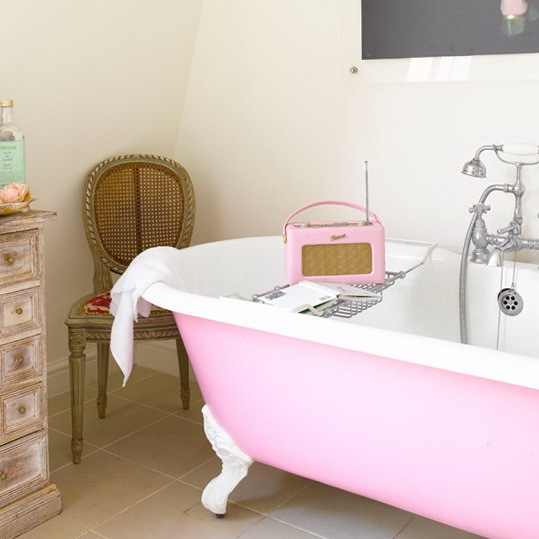 Singing along to your favourite station might also make cleaning the bathroom afterwards seem less of a chore. 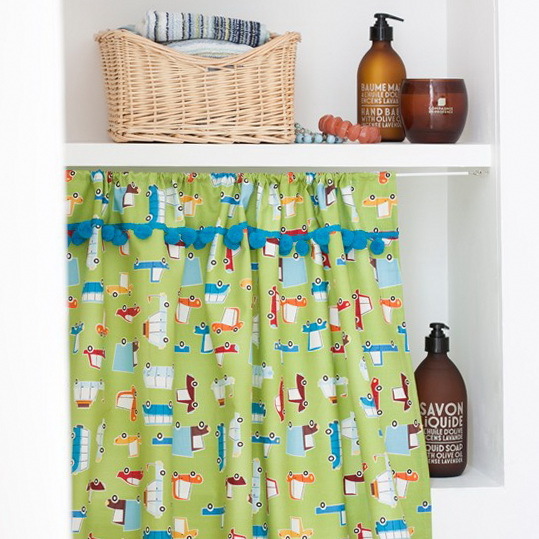 If you want to retain a sense of calm in a family bathroom try hiding clutter behind a colourful curtain. Sweep cleaning products and unsightly clutter out of sight and use open shelves just to display a few pretty bottles or products. 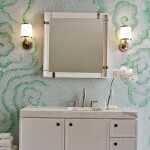 Create a fun effect with a statement wallpaper. 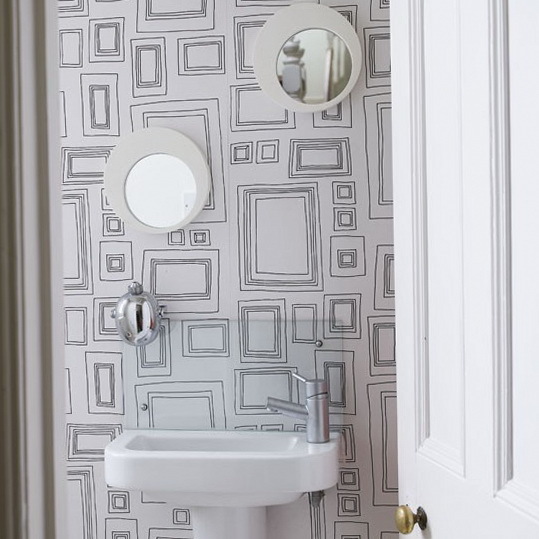 Bold patterns make an impact in a small space and this frame pattern just begs to be coloured in. To prevent water damage place a clear glass splashback behind the sink and ensure you don’t hang wallpaper near a shower. 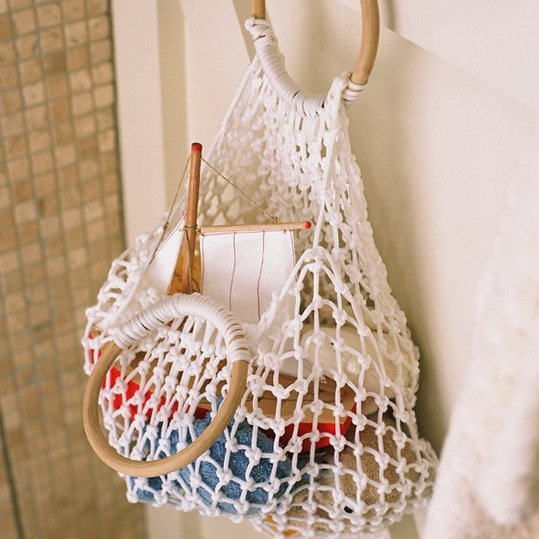 Don’t forget the back of the door for bathroom storage, hanging a soft string bag from a hook is a good way to collect and store general clutter. If you have the space you could also hang a row of hooks for towels or place towel rails at even intervals on the back of the door to fill the space efficiently. 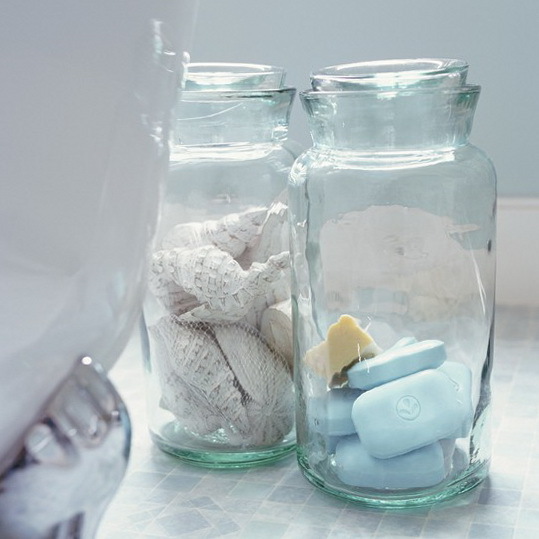 An oversized glass jar is a fun way to store essentials. 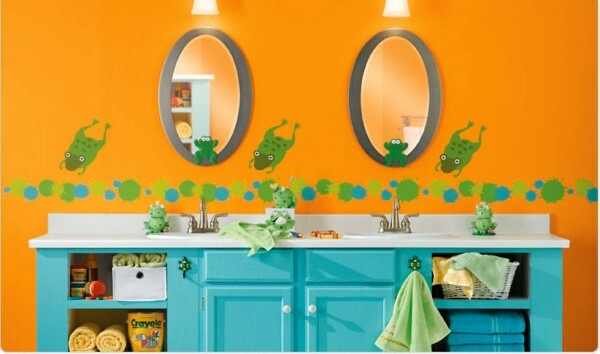 If you have a large family you will be used to buying products in bulk but even cheap everyday products can be transformed when displayed in quantity. 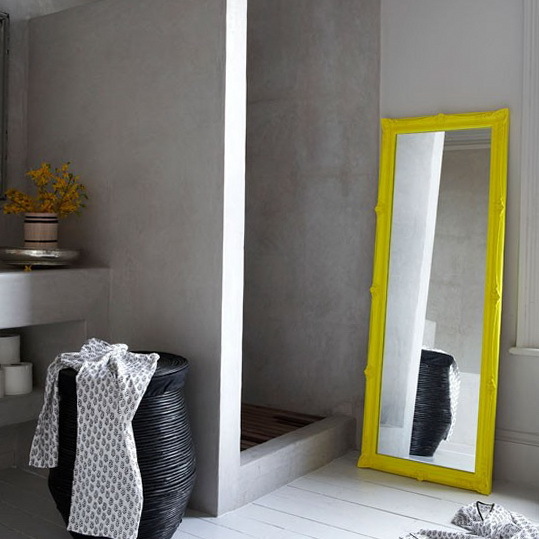 So why not elevate the ordinary with a pretty display of soaps, cotton wool or even toilet rolls. 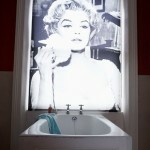 Don’t be scared to display paintings in a bathroom. As long as they are correctly framed and kept away from direct contact with water or steam they should be fine (although it’s obviously not a good idea to hang a priceless original in a bathroom). So why not frame and group sketches and drawings by family members to create a cheerful display.